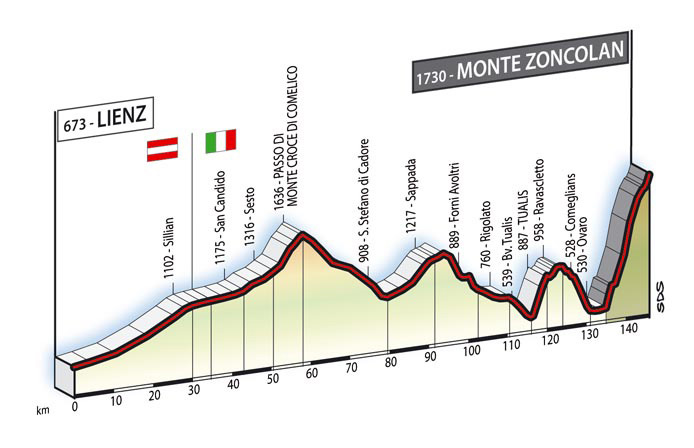 Today we see one of the most fearsome climbs in professional cycling, as the Giro peloton climb Monte Zoncolan. 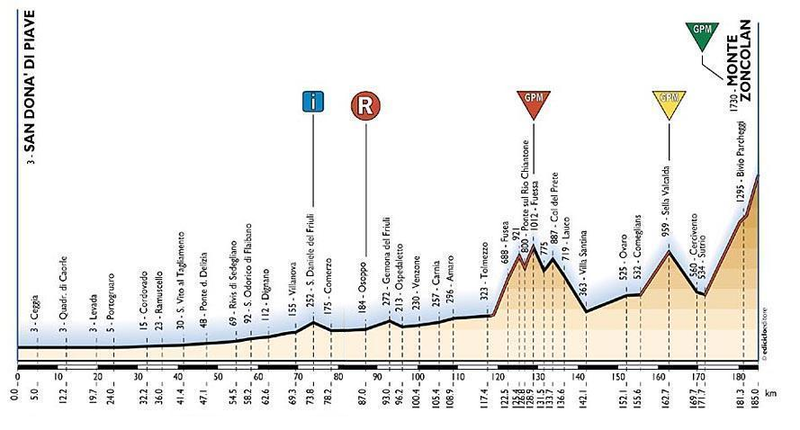 The gradients are fierce and the contest will turn into a matter of who has the greatest power to weight ratio as other variables like drafting go out the window. 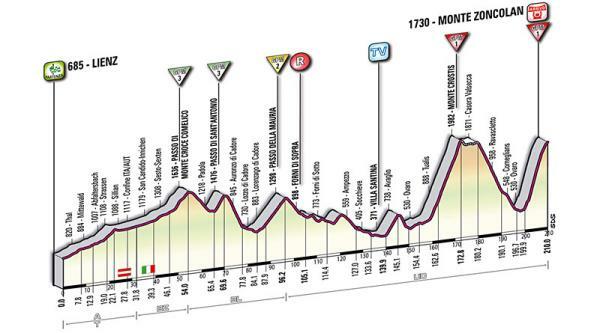 Here’s a look at the four previous times the Giro has visited the mountain. 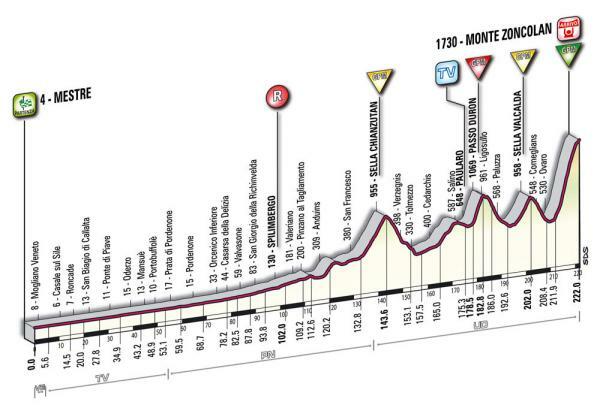 The first time the Giro visited the mountain saw the Zoncolan feature midway through the race. It is also the only time to date where the ‘easy’ side from Sutrio to the east has been used. A report of the stage can be seen here. The first time the mountain was tackled from Ovaro saw the infamous Saunier Duval team take a 1-2 at the finish. A report of the stage can be seen here. One of the best editions of the Giro in recent memory saw surprise leader David Arroyo struggle to defend his pink jersey as Ivan Basso hunted him down. A report of the stage can be seen here. Controversy reigned as Monte Crostis was deemed to unsafe to race and was removed from the stage. For the first time, a non-GC contender won the day. A report of the stage can be seen here. Previous Previous post: The Best Ronde?